A tribute to ink (the kind of ink that never dries out!). Contact for a tailor made solution. 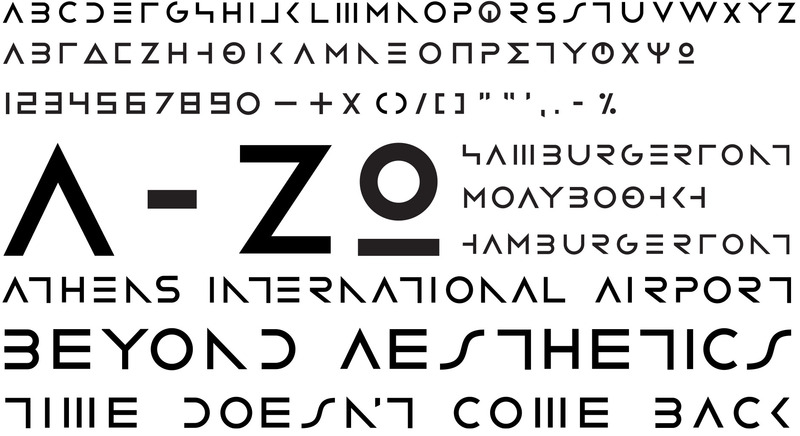 A very crude, minimalistic, geometric typeface. Took its name from the test word LOVE and gradually evolved to an entire, surprisingly readable, font. 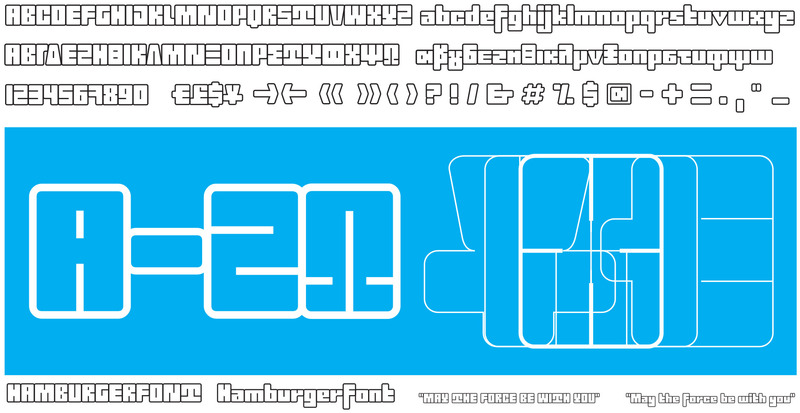 The aim here was to create a "space age" font with interesting and fluent to the eye, line breaks. Breaking typographic norms is, sometimes, gratifying as well as essential for a graphic designer. It is interesting that some of the letters are missing key parts of their body and yet the typeface is quite easily readable. 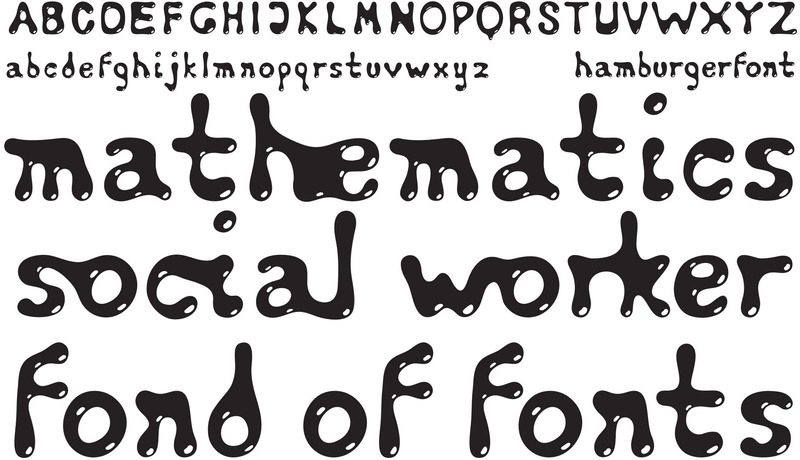 Although designed in 2017 this typeface was originally conceived in 1995, during foundation year at Middlesex Polytechnic. 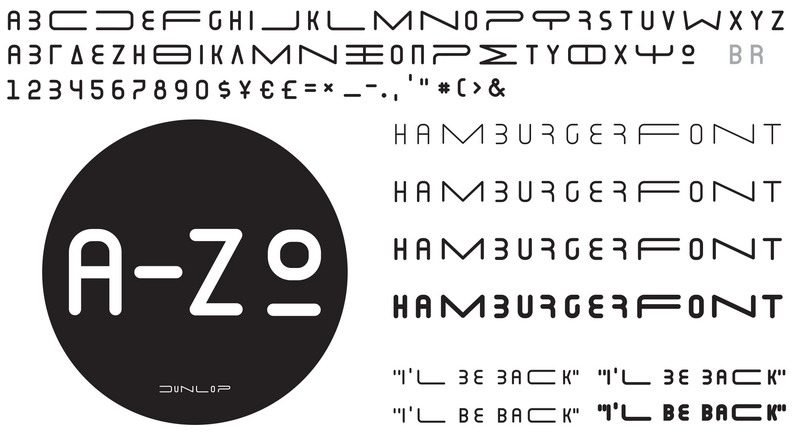 The brief was to "design a typeface you've never seen before" (...). Neville Brody had a very big impact upon us during our college years. Luckily we discovered him early enough to either quit or to commit to Graphics. I chose to commit, although I found my self utterly disheartened after my visit to his 1st exhibition at Elephant & Castle (1988). There I saw computer graphics before computers were invented and sensed that Neville's work could never be surpassed. A true Graphic Design genius who undoubtedly opened the path to contemporary graphics. A semi-crypto typeface specially designed for printing messages on T-shirts, where the message would be visible from a distance but not up close. 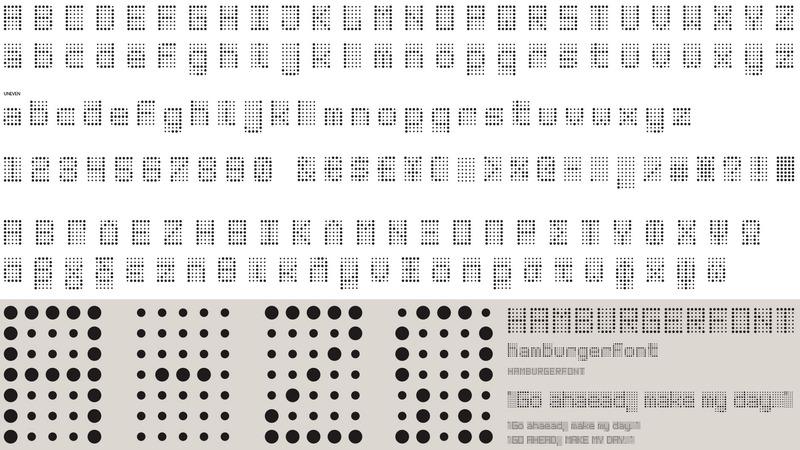 A font inspired by Matrix displays. 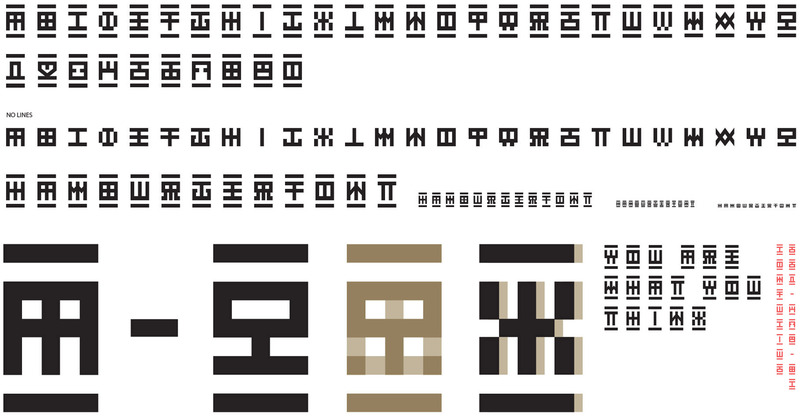 Another crypto font, this one looks purposely Chinese but it is plain English! Try to read it and figure out the design logic behind each letter. 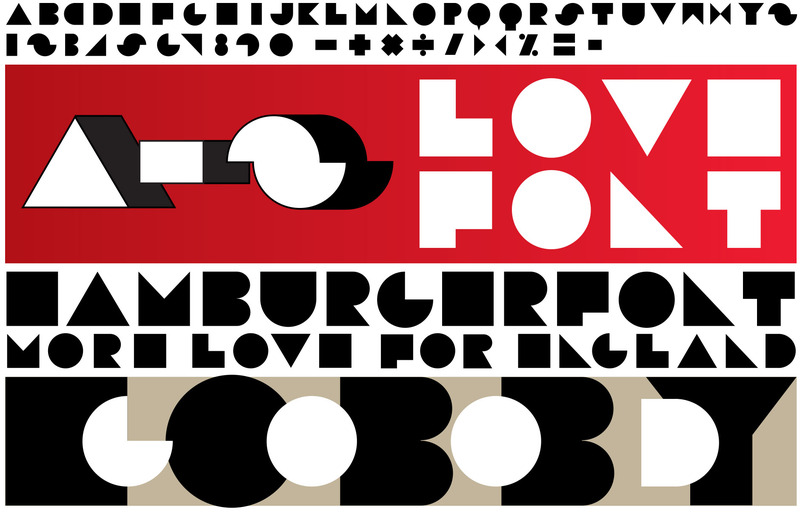 Inspired by early computer typefaces, this font has been used in a few occasions for its interesting looking uneven low case, especially in bold. 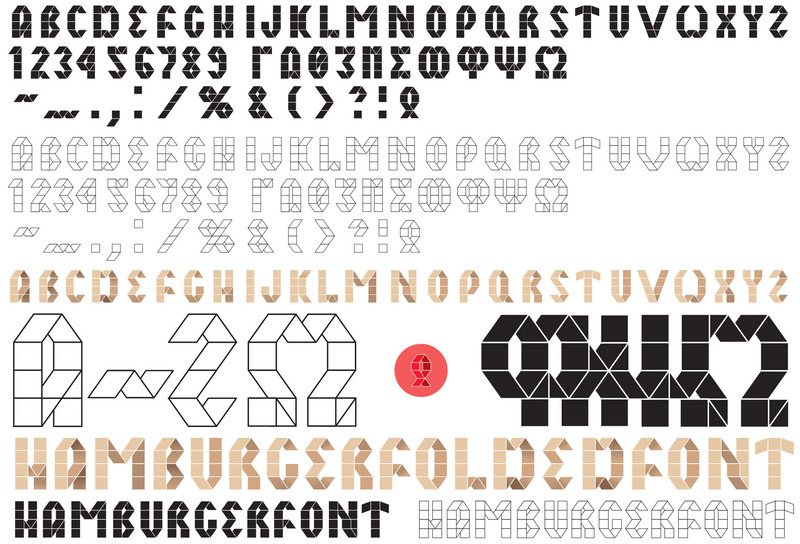 A geometric typeface with minimum lines used to define each letter. 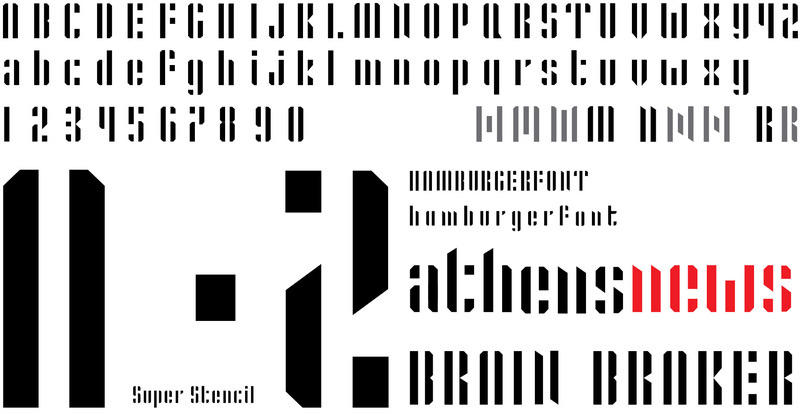 A barely readable typeface which was designed as a truly crypto font exercise. The fact that you can, just about, read such vaguely structured letters suggests that the brain can do more than what is commonly expected when it comes to reading. Inspired by the old architect's stencil plate lettering, this typeface has been used in many projects, mainly for titling and sub-titling. The aim was to depict the flow of ink as it was drawn in the letter slot as well as the faulty kerning, which was inevitable due to the fact that one had to draw one letter and then slide the letter case on the ruler to draw up the next letter and so on (that's how lettering was done in the old days, prior to personal computers).